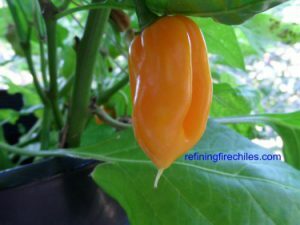 A super hot Red Caribbean Habanero from Antigua and Barbados. 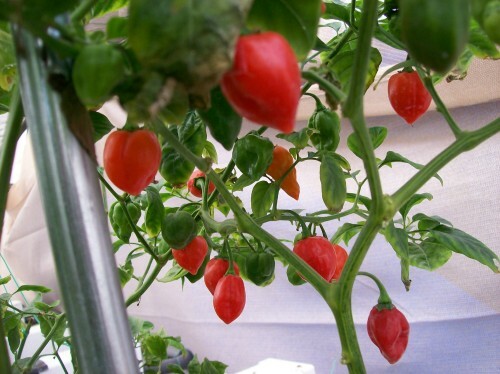 Developed and cultivated there for commercial production. 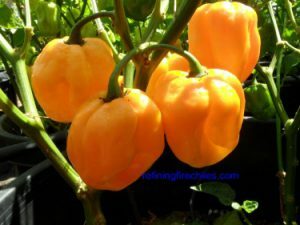 Same flavor and heat as the Red Savina but also the most aromatic of the habaneros. 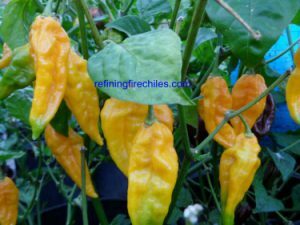 This plant grows well and will reward you with an abundance of pods. 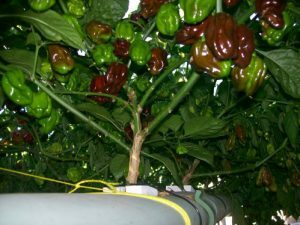 Pepper pods mature to a dark red color and get up to 2 inches long by 2 inches wide.